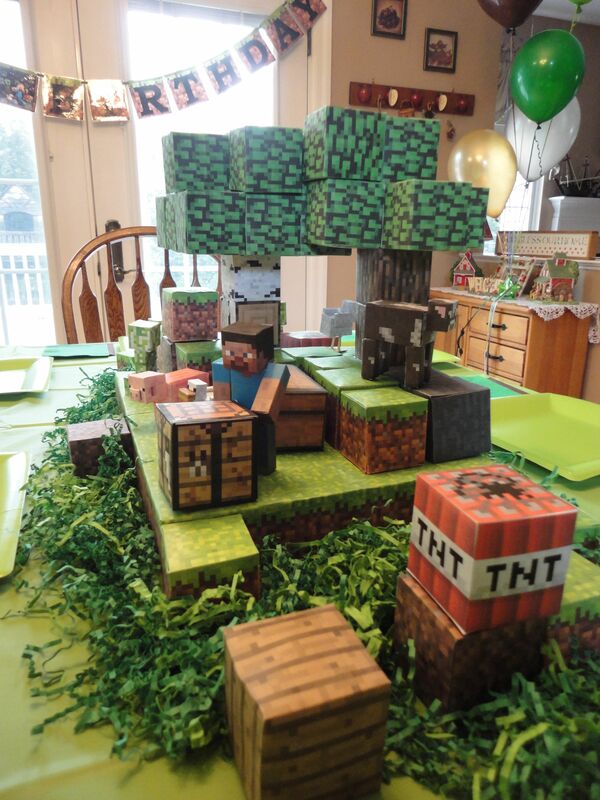 Minecraft is not one of those mass produced party theme, yet they have a very “cult’ like following. Search it on YouTube and you’ll find tons of videos with millions of views and channels with tons of subscribers. With that being said a majority of your décor will need to be custom or hand made. Depending upon your planned activities your table setting can be basic or elaborate. Just be sure to plan your Minecraft décor around the Minecraft color palette of green, white, black, charcoal gray, and brown. This frugal and crafty mom found a very creative way to customize store bought solid color cups. Adding Latex balloons in coordinating colors can make a huge impact and are fairly inexpensive. 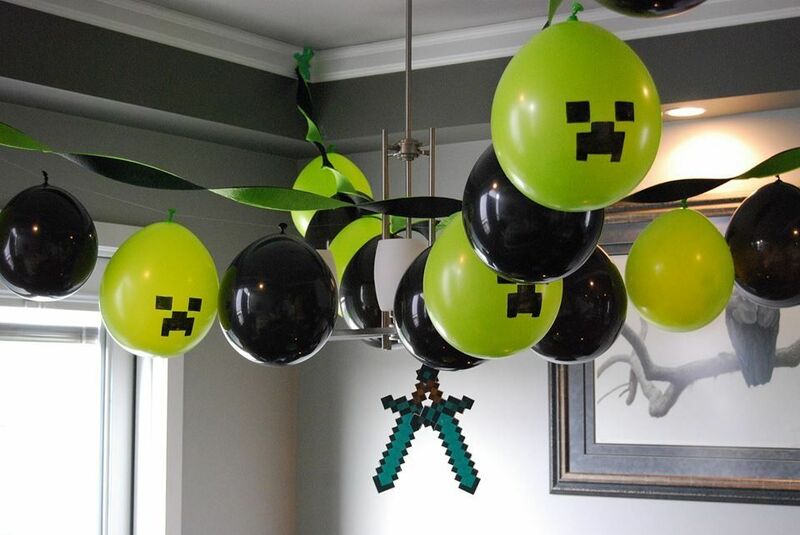 Personalize the latex balloons by adding a creeper face design using a Sharpie marker. This is absolutely a project the Guest of Honor can assist with. Remember to use the Minecraft color palette throughout your décor. The game is all about being creative and fun so your décor should reflect that. Need more idea for your party? Follow me on Facebook.